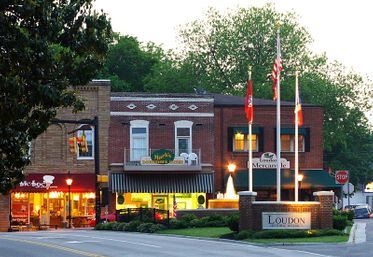 The Village Quilters, located in Loudon, Tennessee, was established in the fall of 1996 by Carole Spahn with a charter membership of approximately 10 members. We've grown tremendously from those early days in numbers as well as skills. At present, our membership of over 300 hails from many nearby communities and we have a wealth of knowledge to share. The purpose of this Guild is to preserve and continue the traditions, culture and history of quilting. We strive to promote fellowship among all members in all aspects of quilting and increase members' awareness and appreciation of fine quilts. The Village Quilters sponsor, support and encourage many quilting activities. We hope to contribute to the growth of knowledge of quilting techniques, textiles, patterns and quilt makers through educational programs, classes, workshops, meetings and travel. Check out all programs, workshops and class offerings by clicking on each section and then stay up-to-date by using the calendar. All subject, time, place, teacher and cost information is listed within those sections. Workshops are usually held on the third and/or fourth Thursday of the month. Workshops are taught by our talented Guild members and additional classes are taught by our professional speakers or members. Our workshops and classes are for Guild members only, so if you're not a member yet, we hope you'll join us! In addition to all of our learning opportunities, we hold a Quilt Show every two years in even numbered years and a Quilt Challenge in the odd numbered years. We have block exchanges several times each year, Community Service “Sweatshop” days and small group “Bees”. Take a look at our Photo Gallery for a fun look at some of our more recent history.